ZQuiet is a dentist-designed device that was created to help you kick snoring out of bed in a quick, effective, and easy-to-use manner. In order to understand its effectiveness, it’s important to understand why it works. 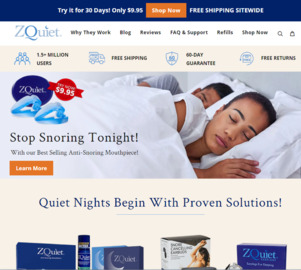 Click a Coupon or click Start Shopping to earn $16 Cash Back at ZQuiet.